Dr Drum Review (2018) Is This DAW Worth the HYPE? Trance/ techno/house/trance and dubstep is the music that defines the current generation. With the club culture soaring through the roof, you are nobody unless you know where the best beats are being played. Imagine the popularity you would achieve if you know how to create these beats, instead of just knowing which clubs play these beats. Most people think that being a DJ is difficult and that it takes years of training and skill to become a professional DJ. This was true a few years before, but not anymore. Today, all you need to become as good as professional DJ is Dr. Drum. Dr. Drum is beat mixing software that allows you to create professional-grade mixes at a fraction of the cost. Forget booking studio time, and messing with turntables, sequencers, and shelves of audio files. 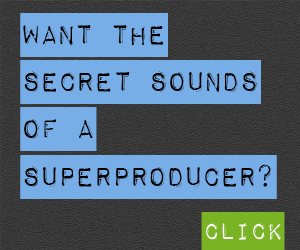 All you need to create amazing beats are the awesome features offered by Dr. Drum to create mixes which are intense, in terms of sound quality and intensity. Dr. Drum has a unique sixteen track sequencer which makes composition incredibly easy to piece together. Editing your track becomes as easy as pie because Dr. 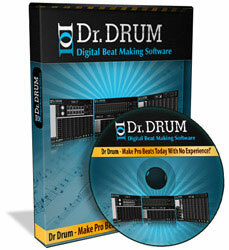 Drum has a powerful and fast yet intuitive interface that takes you seconds to maneuver through without wasting time on figuring out how to work out the kinks, as you might have had to do with other software of the same kind. The most that you have to do when you are using the sixteen track sequencer is to copy the bars you select, even multiple bars with double clicks. 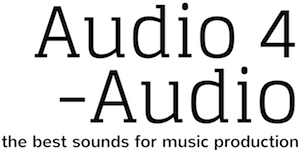 You can edit each track’s respective volume in multiple ranges, such as low-tone, mid-tone, and high tone. You can even pan individual tracks one by one, mute specific tracks and play them solo if you want to refine the sound of a particular beat. It really is that incredibly easy, and the best part about the whole software is that you get instant gratification by immediately uploading your track on YouTube, using the software’s built-in YouTube uploader so that you can get an appreciation as soon as you put your track up. What’s more incredible is that the software automatically generates a video that goes with your beat so that you can put it up on your YouTube channel. You can format the video by adding your own pictures so that the video gets customized according to your song, creating a satisfactory music video for your track with minimum cost and effort. Even though there is other software that let you mix beats, their technicality and complex interfaces takes months to sort through, and they have several limitations such as Mp3 format samples which are in compressed form, reducing sound quality. Furthermore, the samples provided in these kinds of software are so few, that the mixes that you create all end up sounding the same, producing sound pieces with laughable amateurism. Dr. Drum also lets you import samples from other sources so you can create your own remixes on the software as well, which lets you put a fresh spin on classic songs.